The older I get, the more reflective I become. That phrase “Don’t Sweat the Small Stuff” has become my daily mantra. Every day you are faced with choices; and many times you are forced to take a chance that will make your life change forever. Change is hard, especially if we like our life the way it is right now. But we don’t always have an option to keep change at bay. Sometimes change enters into our life and we don’t even see it coming. It could be a simple check-up that brings a diagnosis we’re not ready to hear, or a spouse who wants to move in a different direction (without you), or a boss who has to downsize his team and you were the last one hired. Overnight, your life can change. So how do you cope with it? How do you keep putting one foot in front of the other? Know that you have a choice. Maybe not over the situation, but certainly over your attitude. Once you can finally accept the change, finding the best way to deal with it becomes a whole lot easier. Think of a light switch; now picture yourself flipping the switch. That’s what I like to call it. 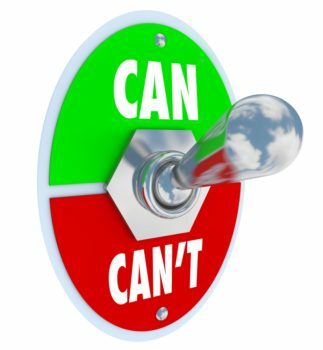 When I am faced with a new challenge – one that I just don’t want – I mentally flip the switch. I try to think of the best outcome possible or how this change can help me discover something new about myself. I know I’m making this sound easy – and it’s not. It’s really hard! But sometimes the only thing we can change is our attitude and it helps us keep our sanity. It helps us get out of bed the next morning and try again. « What Would You Be For Only One Day? This is a good one, Nancy! Thanks, Judy. And you are one of the most positive people I know!